The CW has officially ordered a spinoff of the popular series The Flash and Arrow called DC's Legends of Tomorrow . 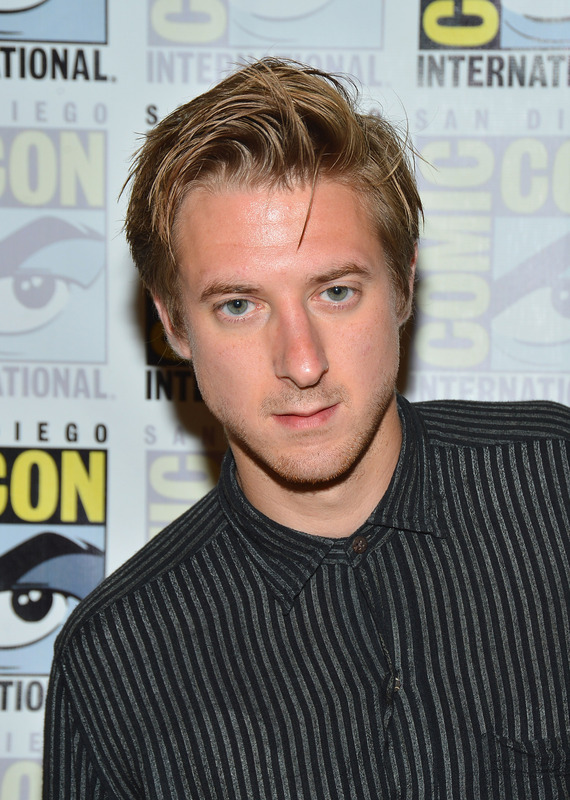 In this superheroic ensemble drama, our main man Rip Hunter played by Arthur Darvill must assemble (it's not The Avengers guys, I swear) a team of heroes and villains to take down an evil force greater than their own alliances and rivalries. Though CW has recently been upping its diversity game (Hello, Jane the Virgin), Legends of Tomorrow sadly lacks in that department and falls into the same tired trope of nearly all comic book/superhero adaptations — almost everyone is a man and/or white so far. Legends of Tomorrow also stars Brandon Routh as Ray Palmer/The Atom, Victor Garber as Martin Stein/Firestorm, Wentworth Miller as Leonard Snart/Captain Cold, Dominic Purcell as Mick Rory/Heat Wave, Ciara Renee as Kendra Saunders/Hawkgirl, Franz Drameh as Jay Jackson and Caity Lotz with a still-to-be-determined role. That brings us to a roaring total of three non-white males in a cast of eight announced. Considering the Marvel Cinematic Universe is already filled with loads of white men and a few women who are often overshadowed by their own breasts, I was hoping DC and the CW might finally show the comic book world a thing or two about representation. However, all might not be completely lost for Legends. Marvel's Agents of S.H.I.E.L.D. did start off with a gender-balanced team and a few people of color, and its first season did have a solid lineup of female guest stars. The television series and movies are just starting to trickle in diversity, but, to make an impact, the change needs to be bigger and more direct. If the massive success of the recent comic book boom has taught us anything, it's that these shows and movies aren't just being consumed by teenage boys — they're being watched by men, women, and people of all ages and colors. So why not start speaking to all demographics rather than whitewashing an entire genre? Whoever argues that the next Spider-Man can't be black because that wasn't how he was drawn in the comic books can go back to hiding in their troll cave. We're talking about characters that are mutants or people with skin that can't be punctured or eyes that can send lightning bolts, or whatever, and we're still fighting to represent people of color? That kind of thing is becoming increasingly unacceptable, and I sincerely hope that later casting news about the Arrow and Flash spin-off welcome more actors and actresses of color into the fold. With an ensemble show like this one, there will be plenty of room.